Photo: A boy admitted this week was treated for a major foot wound, now well on his way to recovery. 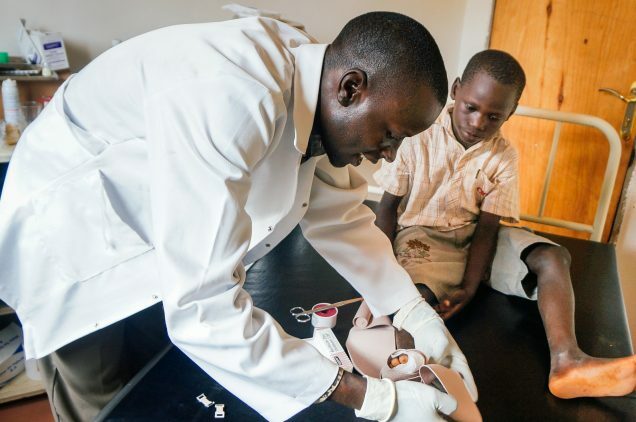 In very encouraging news coming from our Uganda team, we are happy to report that our recently expanded rural clinic has been busy at work serving dozens of community members weekly. Just this past week our team was able to save the life of a little boy who suffered a major foot wound. Although the boy lost his big toe we were able to stop the bleeding and treat the wound which otherwise would have likely become infected, a very high risk situation where other modern medical services are non-existent.